Although the Mendelssohn family is better known for its cultural and economic contributions to German history, the astrophysicist Amos Yahil is not the first gifted natural scientist it produces. The family patriarch Moses Mendelssohn himself evinces a strong philosophical interest in mathematics. His youngest son Nathan is a mechanically gifted tinkerer who makes scientific instruments for Alexander von Humboldt, establishes a polytechnic society, and files his own patents. We find a number of famous mathematicians among the offspring of not only Nathan but also of Abraham, the middle son of Moses. The latter group includes Paul Mendelssohn Bartholdy, co-founder of the Agfa chemical giant. Amos Yahil, by contrast, comes from the family branch of the banker Joseph Mendelssohn, which is known mainly for its business success until well into the 20th century. 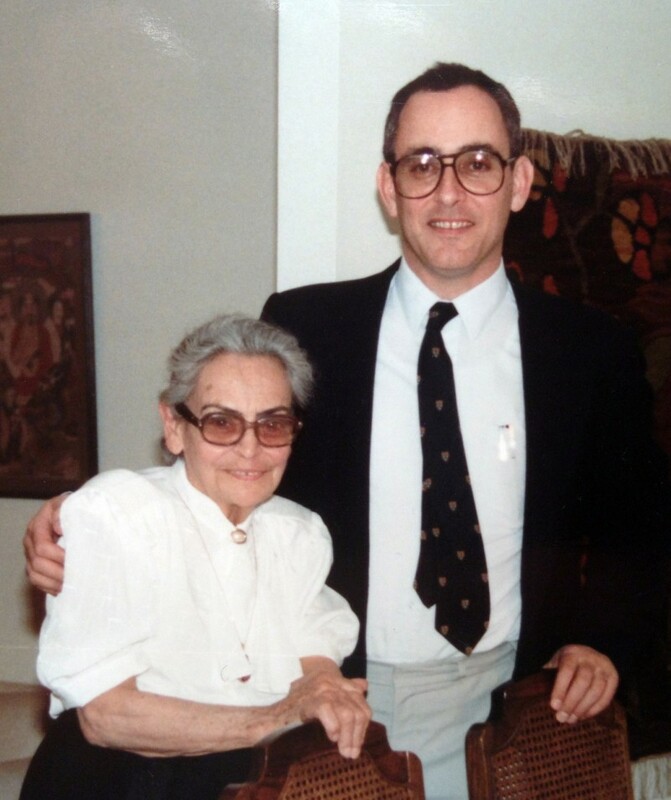 Amos Yahil studies at Hebrew University in Jerusalem. He moves to the United States in 1966 and earns a doctorate in physics at Caltech. As a professor, he teaches first at Caltech and later at Stony Brook University in New York State, where he remains until 2008. His 1974 report on the existence of an extensive quantity of intergalactic “dark matter” (published together with Ostriker and Peebles) is honored by the American Astronomical Society as one of the most important scientific publications of the 20th century. Concomitantly with his academic career, Yahil establishes a company in 1997 to commercially exploit the imaging processes he has developed as an astrophysicist. Doing business as “ImageRecon LLC” (since 2006), the company develops prototypes for medical imaging software for subsequent serial production by Siemens. This software is currently being used in the treatment of some 10 million patients worldwide. Amos Yahil on the results obtained from a ten-day round of observations using the Hubble Space Telescope in December 1995. Yahil begins researching as early as the 1980s while working at the University of California’s Lick Observatory (on Mount Hamilton in San José, California). In December 1995, during a ten-day observation at Stony Brook University, Amos discovers (together with Lanzetta and Fernández-Soto), the two galaxies furthest from the earth by using a newly invented method to evaluate data from the earth-orbiting Hubble Space Telescope. An image of the universe recorded by Nasa’s Hubble Telescope in December of 1995 and analyzed by Amos Yahil and his colleagues. The arrows point to a super-faint galaxy that appears to be more distant than any other previously known galaxy. © K. Lanzetta and A. Yahil (SUNY) and NASA. Examining images of roughly 2,500 galaxies, the three researchers identify several dozen galaxies whose features suggest that they lie further from the earth than any other galaxies previously observed. Six of them appear to be even more distant that the prior record-holders in this regard, namely the universe’s most outlying quasars (quasi-stellar radio sources, i.e. active cores of a galaxy, presumably black holes surrounded by a glowing disc of matter). These newly discovered galaxies probably already existed when the universe was only five percent as old as it is now, having been formed in a primordial phase just a few hundred million years after the Big Bang. 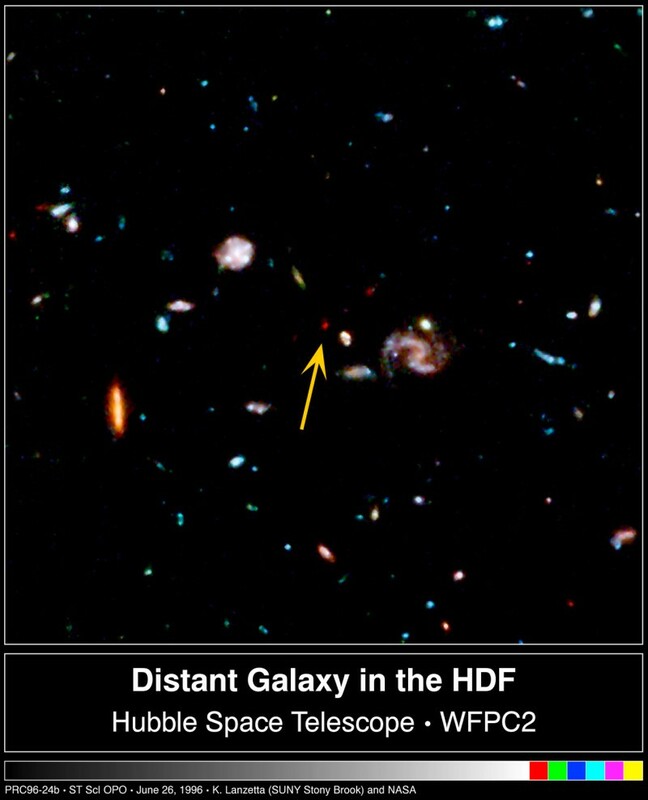 The first hints of this evolutionary process are provided by the “Hubble Deep Field” images obtained in December 1995. Most of the galaxies are nearly four billion times fainter than can be seen with the human eye. While evaluating the data in early 1996, Amos Yahil and his team at the State University of New York at Stony Brook uses a new technique based on galaxy colors to measure the distances, or “redshifts,” of extremely faint galaxies. They find that the light emitted by the furthest star systems in the Hubble Deep Field set out on its journey towards our Solar System no less than 15 billion years ago. In other words, the light we see today has taken a trip through time and space that extends back 95 percent of the way to the start of the universe’s formation and development. 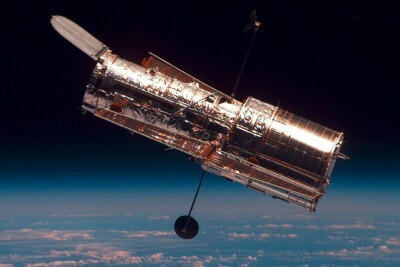 The Hubble Space Telescope was developed as a joint project between NASA and the European Space Agency (ESA) © NASA.